Explosion Proof Air Conditioner, ATEX Certified. Our explosion proof ATEX ceiling suspended units are specially designed for hazardous ATEX locations that do not allow installation in the ceiling. Also a special stainless steel version is available for the food industry (HACCP guidelines). The units are equipped with a special feature to adapt the air flow volume to the ceiling height. This improves the internal comfort as annoying draughts are avoided. An outside air connection brings fresh air in the room used for heating or cooling. Ideal for a comfortable and safe working environment in ATEX classified areas, such as porta cabins, mobile units, industrial kitchens and other industrial working spaces. Our standard range of air conditioners are a modification of de latest models of Mitsubishi Electric. The outdoor unit, containing an explosion safe inverter heat pump, continuously adapts to the measured and desired temperature. 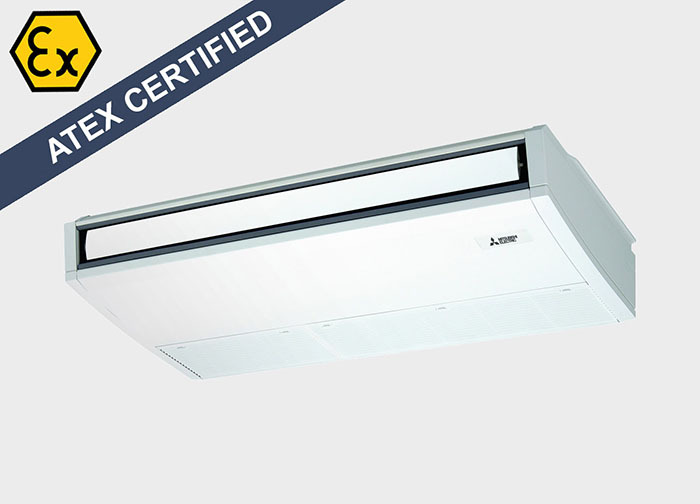 This enables saving up to 30% on energy use and increases the comfort level for your workers. On request, Ex-Machinery provides explosion proof conversions for other leading HVAC products and brands, such as Daikin, Carrier and Toshiba. 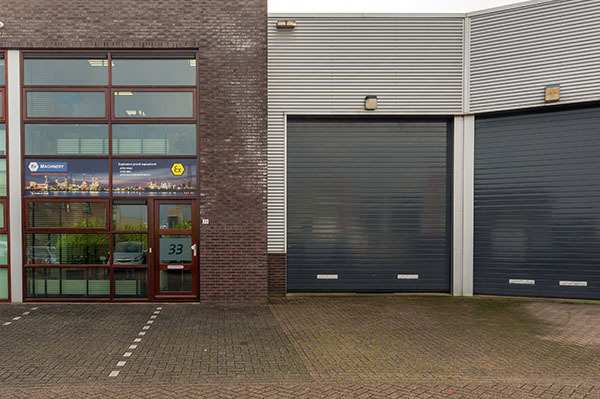 Indoor and or outdoor units can be delivered in ATEX version or standard CE version. Sets may consist of a combination of ATEX and non-ATEX units. EN 60079-11; Explosive atmospheres - Part 11 : Equipment protection by intrinsic safety "i"
Product sheet Download Product Sheet: Ex-Machinery, ATEX Air Conditioners.